I'm Here. I'm Queer. What the Hell do I read? : Say "I Do!" Gay Marriage Will Be Legal In New York State in less than a month! Say "I Do!" Gay Marriage Will Be Legal In New York State in less than a month! 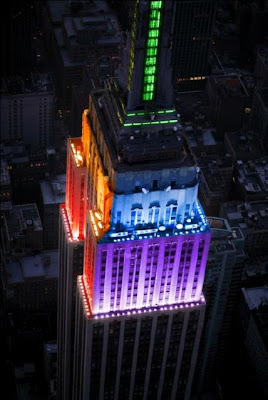 Late Friday night, the gay marriage law passed the NY Senate and was signed into law by Governor Cuomo. "But for the president, “the fierce urgency of now” applies only to getting checks from the gay community, not getting up to speed with all the Americans who think it’s time for gay marriage." But this fascinating analysis of how gay marriage became law in New York state here gives me a lot of hope about the power of coming out and living our truth, and the future. Very exciting times we live in, people. We all just have to keep on standing up for equality and fairness across the board for EVERYONE, and teach and learn how to celebrate our differences! And we'll get there. Person by person. State by State. Country by Country. Until we've transformed our world. Yes, this is great news for my home state. I heart New York even more than ever. Two of my friends are planning to get married at City Hall the first day it's possible. I'm surprised it took NY so long. So, who's next?